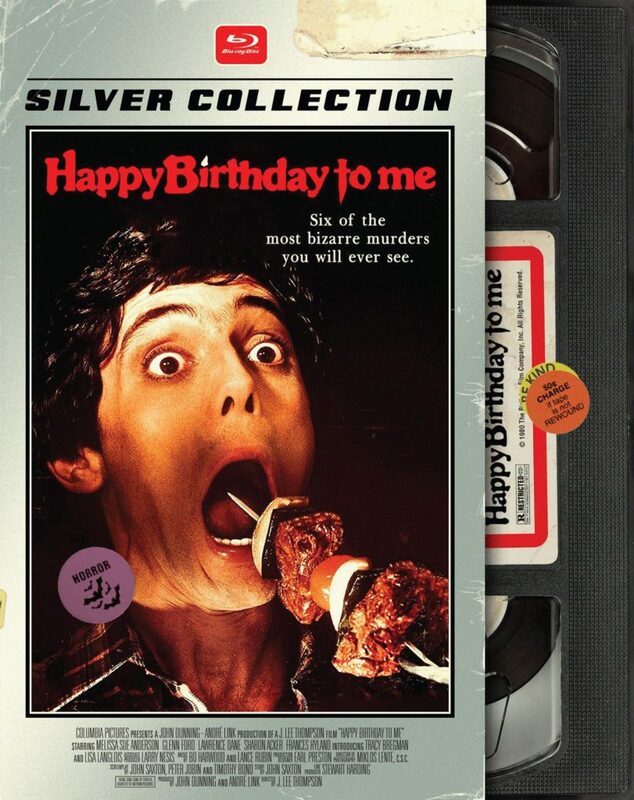 One of the signature horror films produced by legendary Canadian studio and distributor Cinepix, J. Lee Thompson’s 1981 shocker HAPPY BIRTHDAY TO ME often gets lumped into the post-FRIDAY THE 13th slasher cesspool but it’s much more than that. Cinepix creative braintrust John Dunning had first found fame in the genre via his “discovery” of David Cronenberg, with he and his partner Andre Link producing both of DC’s first features, SHIVERS and RABID. But Cinepix also co-financed and distributed a wealth of horror and dark fantasy films, including Harry Kumel’s 1971 vampire masterpiece DAUGHTERS OF DARKNESS and the notorious ILSA: SHE WOLF OF THE SS. These guys knew the market and when HALLOWEEN and FRIDAY THE 13th yielded big box office takes, Dunning and Link put together both this film and George Mihalka’s beloved East Coast killer thriller MY BLOODY VALENTINE. Now, VALENTINE is more of a straight-ahead masked-killer/body-count film, but HAPPY BIRTHDAY TO ME plays more like a giallo, with its convoluted mystery and its black-gloved murderer. Both films were distributed by major studios, but BIRTHDAY – the sleazier and more disturbing of the pair – escaped virtually uncut while VALENTINE was famously gutted by the MPAA and Paramount Pictures to secure its R rating. If we’re comparing the two, HAPPY BIRTHDAY TO ME is the superior picture and that’s because of its director (Thompson was a veteran Hollywood filmmaker whose credits included CAPE FEAR) and for the fact that the story and script are totally loopy. Dunning hired ILSA scribe John Saxton to come up with this tawdry tale, in which LITTLE HOUSE ON THE PRAIRIE starlet Melissa Sue Anderson appears as high school student Virginia, one of the elite rich-kids who hang=out together, wear grey and black striped scarves and call themselves “The Top 10”. Among that lot are Canadian cult film icons Lesleh Donaldson and Lisa Langlois, the former who is offed quickly and gruesomely in the first reel and the latter who was SUPPOSED to be axed (literally) but, in the final edit, ends up sticking around for the duration of the picture. Anyway, Virginia is having troubles, as she escaped a care-wreck that killed her mom years earlier and now is prone to blackouts and select amnesia. As her pals begin getting systematically slaughtered at the hands of a glove-wearing killer, their corpses mysteriously vanishing, Virginia begins to suspect that she might be to blame. And Thompson makes us believe this too. But IS she? The psychodrama climaxes in one of the truly great and batshit wacky finales in 80’s horror history, at Virginia’s bloody 18th birthday party. Meanwhile THE BLACKBOARD JUNGLE icon Glenn Ford looks on, presumably three-sheets to the wind. Any movie that contains a rare leading turn from perennial bit parter Ted Raimi, and that features Ricki Lake and controversial skin flick starlet Traci Lords among its supporting cast has to be special. So believe me when I tell you that SKINNER (1993) is. An awesome yet long forgotten footnote in the wave of serial killer chillers instigated by the success of THE SILENCE OF THE LAMBS (1991), SKINNER is the best kept secret of the subgenre’s boom period. Seductively out of step, it’s also something of an anomaly too. Less procedural-based a la SEVEN (1995) or COPYCAT (1995), SKINNER is more an oneiric dissection of a truly twisted mind; a sort of cross between the slice o’ life misery of HENRY: PORTRAIT OF A SERIAL KILLER (1986) and the candy-coloured surrealism of SUSPIRIA (1977), to which its lurid lighting owes an unmistakable debt. Powerful, vibrant, off-kilter, and beguiling, the film pulls you in the second Raimi’s eponymous psycho drifts into Los Angeles in its dream-tinged opening. 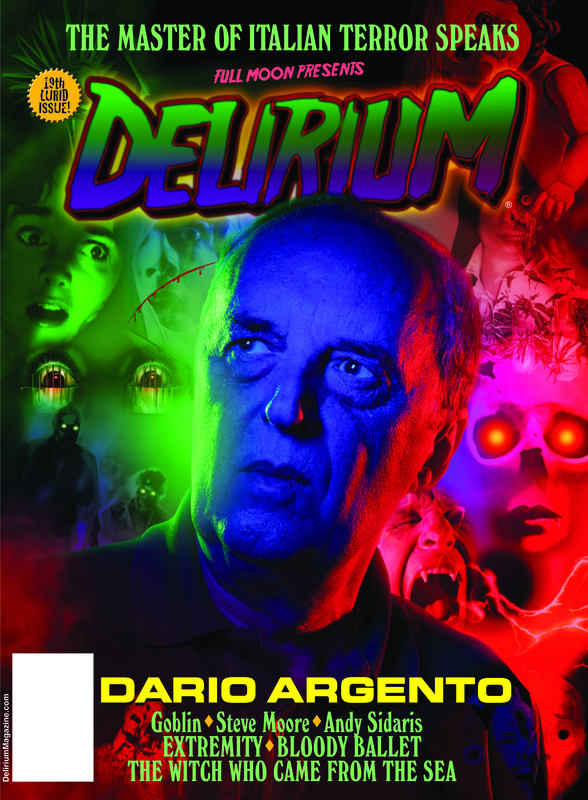 COVER PREVIEW: DELIRIUM #6 Goes Crazy for Kinski and Freaky for Franco! Prolific Eurohorror auteur Jess Franco made over 200 films in his wildly erratic, fascinating career. Among them is the visually splendid, extremely violent and intense 1976 retelling of JACK THE RIPPER, starring the one and only madman of the arthouse Klaus Kinski as Dr. Orloff/The Ripper. 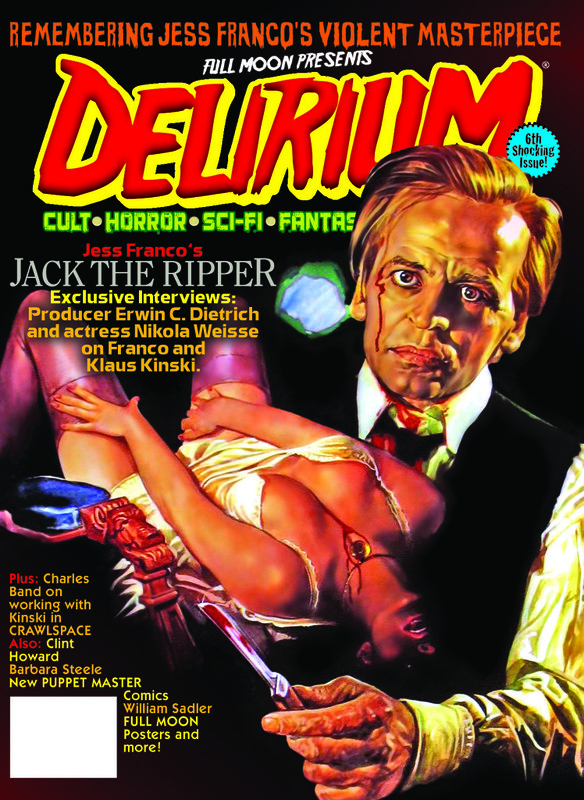 DELIRIUM has an exclusive new interview with legendary European exploitation http://premier-pharmacy.com/product-category/anti-fungal/ film producer Erwin C. Dietrich and Swiss actress Nikola Weisse on the making of this Franco classic and working with two of genre cinema’s most interesting artists. Filled with amazing art and edifying words, this is our most outrageous issue yet! And look for a MAJOR Full Moon/Jess Franco announcement in the coming week! Michele Soavi’s 1987 film STAGEFRIGHT is a favorite to many horror aficionados and now the Italian classic gets the Blu-ray treatment from Blue Underground with this release and boy oh boy, does it look better than ever. Following a somewhat troubled musical number that ends up being quite the deadly experience, STAGEFRIGHT establishes an excellent tone from the very beginning, setting forth a downright beautiful look full of color and style, before even getting to any real danger within the film’s plot. By the time the film’s heroine twists her ankle and heads to a psychiatric hospital to get it fixed (strange I know) we’re already on board with not only the look of the film, but also its characters, a group of needy and overly dramatic theater actors who each bring a really fun presence to the film. Soon after arriving at the hospital, one thing leads to another and a mental patient, guilty of slaughtering a dozen people, escapes and hitches a ride back to the theater, where the troupe is being subjected to an intense rehearsal by the show’s director. Everything leading up to that point in the film, is all about setting forth that tone and feeling, allowing STAGEFRIGHT’s viewers to get hooked into a question of what’s coming next. What does end up coming, next is that the entire group gets trapped inside of the theater, with the killer hiding within and he soon dispatching them, one by one. What sets STAGEFRIGHT apart from every other slasher film released at the time, is how tense it can feel, all while also feeling very playful and visually striking at the same time. It’s one of the few great horror films set within a theater-setting (Bava’s DEMONS and Herrier’s POPCORN also sitting comfortable side by side with it), something that gives you as a viewer a very confined and sometimes claustrophobic feelin. Topped with some excellent kills, with everything from axes, chainsaws, drills and everything in between used as ways to off each cast member one by one, STAGEFRIGHT also boasts one unforgettable killer, wearing an owl-head costume while chopping people to pieces, and trying to stage his own stage piece. It’s one of those horror films that really stands out in pretty much every capacity, with a fun plot, over the top performances, great kills, and last but definitely not least, an excellent electronic-based score by Simon Boswell (DEMONS 2, SANTA SANGRE). Blue Underground really did one hell of a job with STAGEFRIGHT’s Blu-ray debut, as it looks absolutely stunning in high definitely, making those beautiful colors and shots stand out even more than they always have. Add the disc’s 5.1 DTS sound to it, and you’ve got by far the best the film has ever looked and sounded. Also on the disc, is over a half dozen interviews with everyone from Soavi himself, to stars of the film, make-up effects artist Pietro Tenoglio, as well as composer Simon Boswell. Each interview is well over the ten minute mark and not a single one feels like the short EPK’s that fill up so many releases these days. 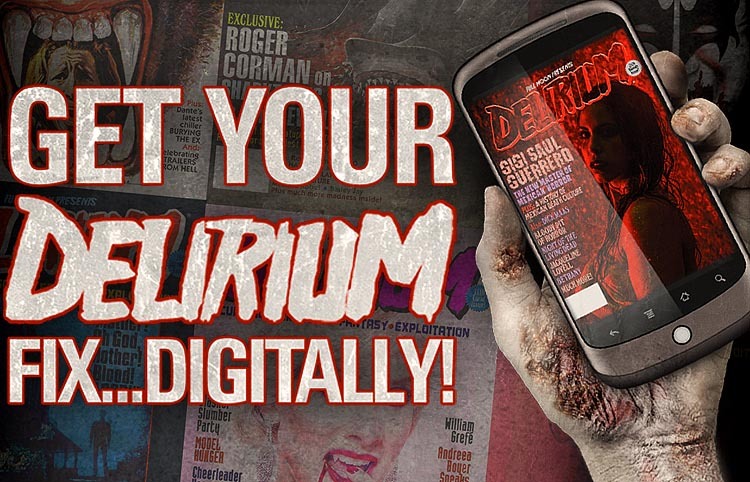 Whether you’re a longtime fan of STAGEFRIGHT or if you’re just in the mood for something new, this is one hell of a release and something that should be in every horror fan’s collection. Don’t be expecting anything swanky though. For those spoilt by the pin-sharp picture and high-end sound of the recent slew of spiffy special ed blus from Arrow and Scream Factory et al, 88’s no-fuss package will likely horrify; Unhinged is just as rough and ready-looking as ever, thanks to no HD elements being available to create a new master. Still, with two presentations of the film to choose from – a 4×3 open matte or an upscaled anamorphic widescreen version – and an informative talk-track with Gronquist himself, it’s definitely the way to go. Its rock-bottom price tag is just the sweetener. One of Blighty’s infamous Video Nasties, Unhinged’s inclusion in that notorious line-up is just as nonsensical as the rest of its condemned compadres; perhaps even more so as, unlike the grue excess of CANNIBAL FEROX and FACES OF DEATH, Unhinged eschews artery-splitting mayhem in favour of a handful of off-screen blood splashes. As noted by critic Calum Waddell in 88’s liner notes, its undue attention was probably more down to its stunningly morbid artwork – lovingly reproduced here – than anything particularly explicit within the film itself. Of course, that’s not to say Unhinged is an easy ride. It’s far from it; a dark, tonally depressing cocktail of familial madness, repression and aberrant sexuality. Like Ruggero Deodato’s landmark gut-muncher CANNIBAL HOLOCAUST and Romano Scavolini’s harrowing proto-HENRY, NIGHTMARES IN A DAMAGED BRAIN – two of the smartest, and most uncompromising, of the Nasty canon – there’s much more going on thematically than just simple, box-ticking exploitation. Unhinged is elevated cheapjack horror. It’s not quite classic stuff: Though atmospheric and showing a great flair for uncomfortable detail, Gronquist’s direction is, even with such a scant seventy-odd minute run time, a touch lax; especially so during Unhinged’s more standard dramatic moments. The performances too range from the overdone to the undercooked, with only Penner (who’d later appear in, of all things, HOMEWARD BOUND) producing a thoroughly credible turn. Nonetheless, Unhinged remains a minor of gem of sorts; it may be a little unpalatable for anyone expecting a FRIDAY THE 13TH-style popcorn crowd-pleaser, but for us schlock nuts who like our stalk and slash a little left of center a la FUNERAL HOME and THE UNSEEN, it’s just the disquieting tonic.